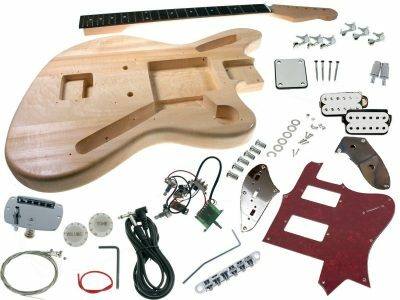 This DIY guitar kit has everything you need for building your own RR Style Electric Guitar. 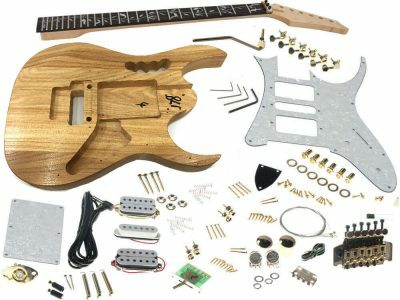 You will only need some basic tools and finishing supplies. 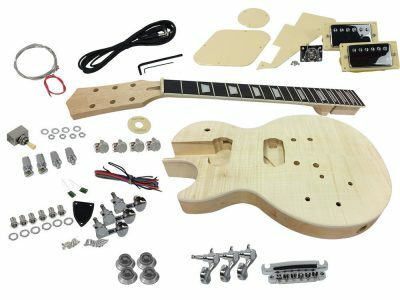 This kit includes all parts and step-by-step instructions to build a complete, playable custom guitar. 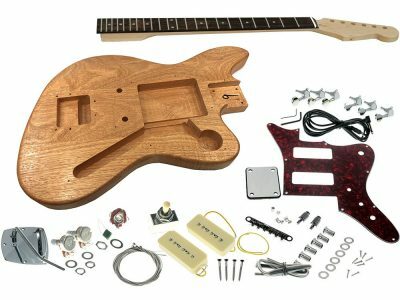 All challenging wood cutting, drilling and shaping has already been professionally done, as well as fret leveling and dressing. 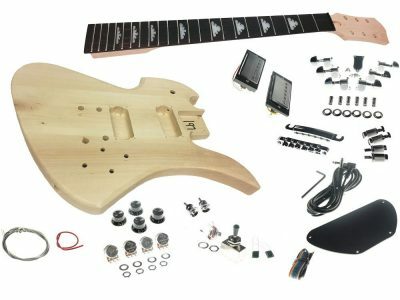 This guitar turned out great! Take your time with the initial sanding and the finish will be perfect. I used Tru Oil for the body and neck. It feels super smooth and looks beauty! I did have to shim the neck to get the action perfect, but that was pretty simple. 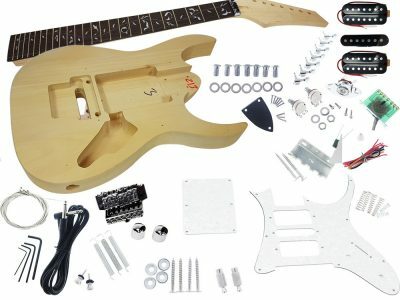 I had some high-output pickups from a previous build, so I used those instead of the supplies ones. Definitely will build another kit from Solo! 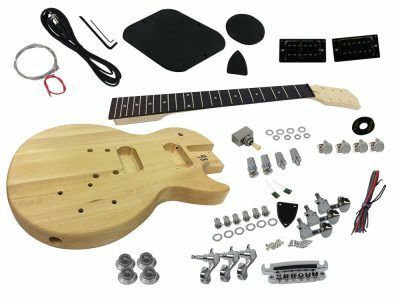 This kit gets you the classic concorde guitar with fixed bridge and the steel ‘v’ tailpiece, which is actually a simple guitar. My only complaints were with the wiring – the wire itself is very very fine and the absolute bare minimum is supplied. The body is several pieces glued together and while not exactly beautiful, it is well put together. Plan on paint or a dark stain. All the holes and cavities are drilled properly and the neck was really a decent piece of work. I upgraded several items for my taste but really, for the asking price this is a fine kit as it is. My second SOLO kit and I’ll be back for more.